TRIVIK Chikmagalur is spread out in 38 acres of coffee plantations and boasts about its undoubted landscape on a Hill slope that offers the site cottage the view of Mullayangiri hills. 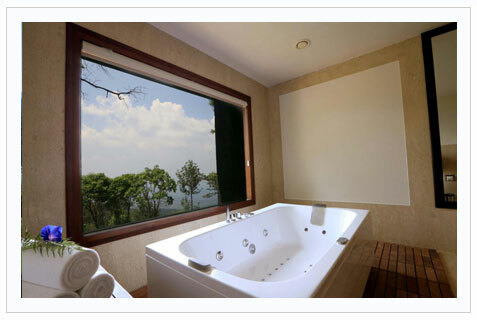 Each suite cottages located at various points of the resort offering view and privacy at its best. Each suite has a separate living room, a bed room, a private balcony with a private Jacuzzi.